Capable of pumping both shallow and deep wells, these convertible, or deep well, jet pumps create a large amount of pressure by shooting water through a venturi valve to create a pressure differential, allowing these pumps to transfer a large amount of water quickly from depths of more than 25 feet and over long distances. Pair these devices with a jet pump eductor specific to your needs. 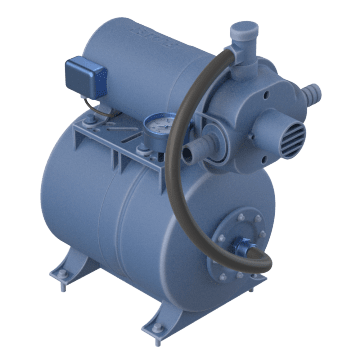 These general purpose convertible jet pumps are commonly used in residential shallow or deep wells, as well as for pumping water from a lake or pond. 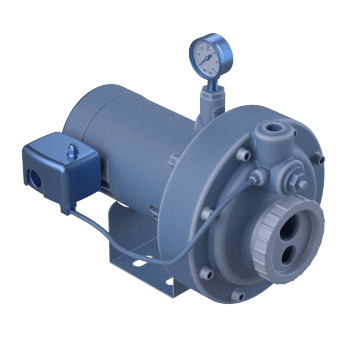 Also known as booster well pumps, these pumps also include a pressure tank and ejector to help ensure the longevity of your pump and adapt the pump to your application. 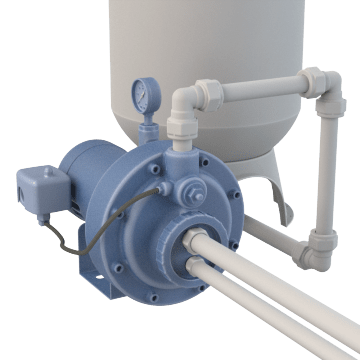 The pressure tank enables your system to provide water without the pump having to turn on every time water is needed.